The Department of Public Safety provides a comprehensive array of public services. The Department consists of The Division of Adult Detention, The Division of Youth Detention, The Office of Emergency Preparedness, The Police Training Center, Atlantic County Firearms Training Center and The Office of Highway Safety. The Gerard L. Gormley Justice Facility houses an average of 1,000 inmates with custody jurisdiction over an additional 250 inmates who are sentenced to various community programs. 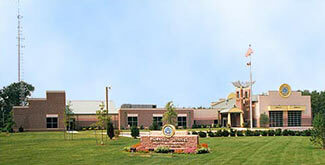 Located within the Anthony "Tony" Canale Training Center are The Office of Emergency Preparedness which is responsible for overseeing emergency management planning for the county, the Fire Training Center, Office of Fire Safety, Office of Highway Safety and the Police Training Center. The Atlantic County Firearms Training Center provides a safe and friendly place to enjoy the shooting sports. The facility is located at Riverbend Park in Egg Harbor Township and is open to both the public and also used as a training facility for local law enforcement officers. The Firearms Training Center is open for public use on weekends and holidays throughout the year. It offers civilian membership plans, competition shoots and specialized training courses. 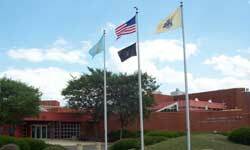 The Division of Youth Detention manages Harborfields under contract with the State of New Jersey. The facility serves male and female juveniles between the ages of 12 and 18 awaiting court review for disposition, trial or other court action with 8 secure beds for females and 19 secure beds for males. The Atlantic County Park Ranger Law Enforcement Unit operates within the Department of Public Safety. Rangers are State certified law enforcement officers. The Rangers patrol 16 county parks, county waterways and the county's green acres sites, totaling 7,600 acres. Rangers are responsible for providing law enforcement, emergency medical, fire/rescue, community policing and crime prevention services for approximately 400,000 annual visitors to the Atlantic County Park System. They also work with law enforcement agencies to help ensure the safety of all residents and visitors. for wildfires, flooding, hazardous spills, severe weather, evacuation alerts/orders and more.